I checked Vicki Robin and Joe Dominguez’ Your Money or Your Life out of the library the summer after I graduated from college, because I wanted to figure out how to get ahead on a telemarketer’s wages. It was the best financial book I could have read at the time. Also, I think it’s the best financial book I could be reading right now. Put your money where it has the most value. 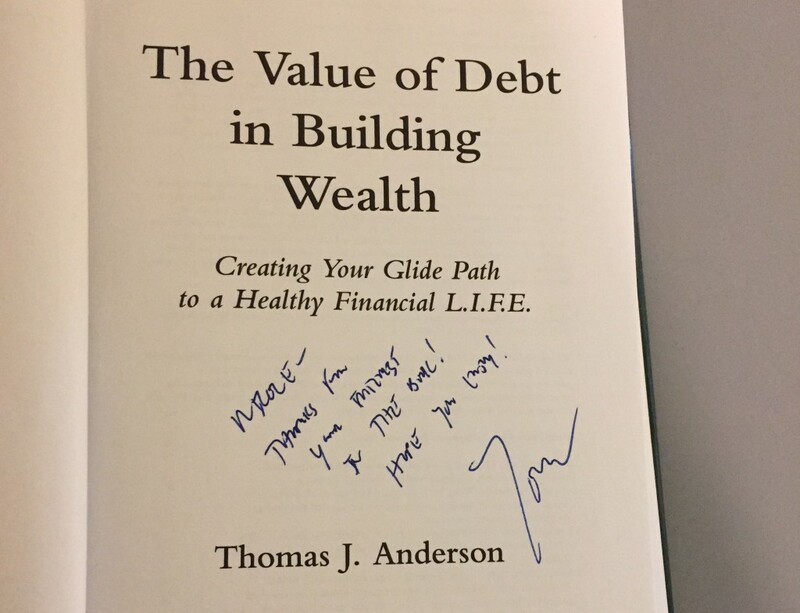 That’s going to be different places for different people, and Anderson takes his time explaining where your cash should go at different stages of your financial life—and at a certain point the Fibonacci sequence gets involved, which was by far my moment of most absolute joy while reading. But yes, sometimes taking on certain types of debt—not credit card debt—is the best way to increase your net worth. That’s why the book is called The Value of Debt in Building Wealth, but it could equally be called The Value of Saving Several Times Your Monthly Income in Cash, Because That Step Comes First. Launch: You’re building up your emergency fund and paying down your credit card debt. Freedom: At this point, your net worth is “between two and five times your gross annual pretax income,” possibly by using the strategies Anderson outlines for people in the Independence stage. It’s time to start leveraging your cash and your debt to make your wealth grow. I’ve been asking—you’ve seen me ask it on The Billfold—what I need to do next. 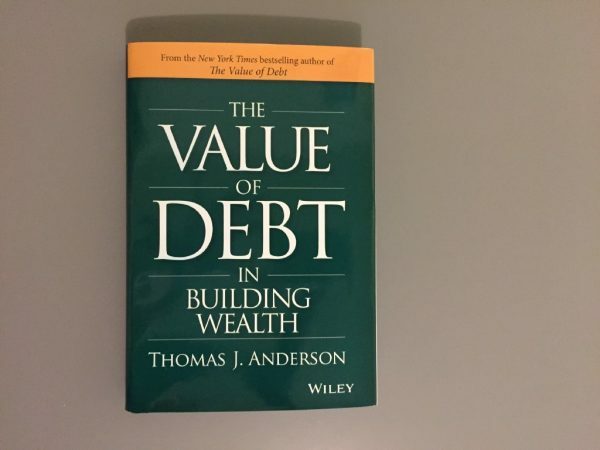 The Value of Debt in Building Wealth gives me an answer. I don’t want to give the whole book away, but I will say that the time for me to start using debt (like a mortgage) to build wealth is still a few years off. The best thing I can do with my cash right now is keep it. I will add, from personal experience: and figure out how to earn more. The second thing I did after finishing the book was use Anderson’s worksheets—yes, this book has worksheets that I converted into spreadsheets, it’s delightful—to figure out how long it will take me to get from Independence to Freedom, assuming a 15 percent savings rate. Anderson makes it clear that saving this much money takes time, which I very much appreciate. Depending on how much I earn in the next few years—and how many unexpected expenses get thrown my way—I could hit Freedom by 40, which I like for the alliteration as much as anything else. And then I could start actually building wealth. Like, long-term-financial-security wealth. Comfortable-retirement wealth. Own-a-home-and-leave-an-inheritance wealth. Like I said: this is the best financial book I could be reading right now. If you’ve read it, what do you think?